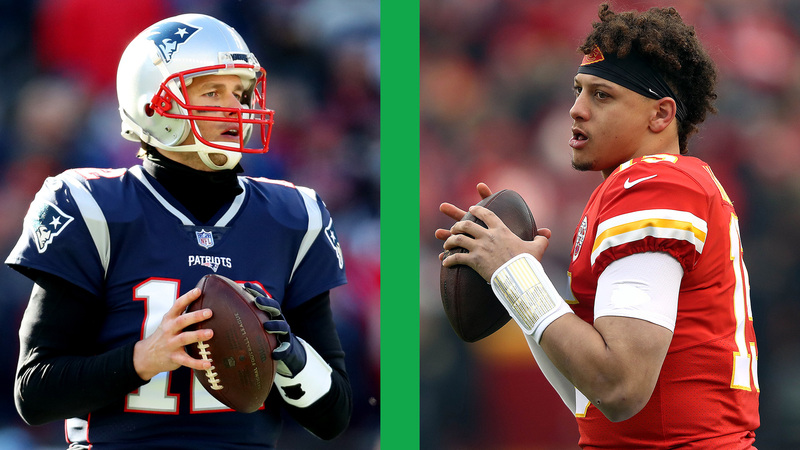 Tom Brady and Patrick Mahomes shared a special moment together after the Patriots topped the Chiefs 37-31 in overtime in the AFC championship game last weekend. Brady, who has won five Super Bowls and three regular-season MVPs over his 19-year career, approached the Kansas City locker room following the game Sunday and asked a security guard if he could visit with Mahomes, according to ESPN. The two then went into a private room, but it wasn’t immediately clear what was discussed. Mahomes shared details of that conversation during an appearance on ESPN’s “NFL Live” at the Pro Bowl in Orlando, Fla.
“It was such a great game with so many emotions where it was going back and forth at the end,” Mahomes said. “He just came up to me and was kind of giving me, saying, ‘Good game,’ and everything like that. Mahomes climbed to the top of the NFL ranks quickly this season, leading the Chiefs to a 12-4 record. He completed 66 percent of his passes for 5,097 yards with 50 touchdowns and 12 interceptions.